Welcome to a never-before-seen world of wonder where you can ignite the magical dream within your heart. This is Shanghai Disneyland, a fun experience filled with creativity, adventure and thrills for kids of all ages! Soar like a bird over mythical realms, lose yourself in Wonderland, take off into the world of TRON, and relive stories from Disney animated classics. Then, onwards: wave at a musical parade starring all your favorite Disney characters, join Captain Jack for a swashbuckling spectacle and, of course, meet Mickey Mouse in person! After all that fun, rest and recharge indulging in a royal banquet at Enchanted Storybook Castle, feast like a swashbuckling pirate in Treasure Cove, and keep your eyes out for snacks and treats all throughout the part. As well as all that, bring a bit of the magic home with you by picking up souvenirs and keepsakes - you'll remember your visit for a lifetime! Your passport is your ticket. Please show your passport at the entrance for admission. The number of tickets available is limited. Tickets are valid only on a specific date, or for 2-day tickets, only on specific dates. Entertainment, ticket types, entitlements and prices subject to change without notice. Click HERE to check Park Hours. 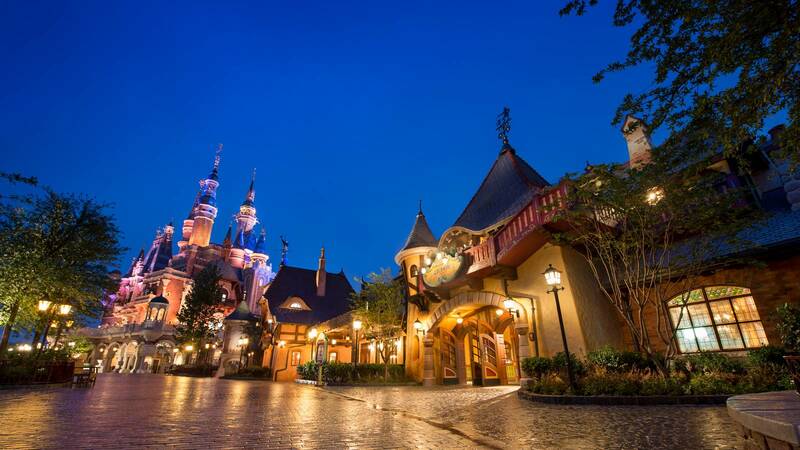 Book Hong Kong Disneyland here.